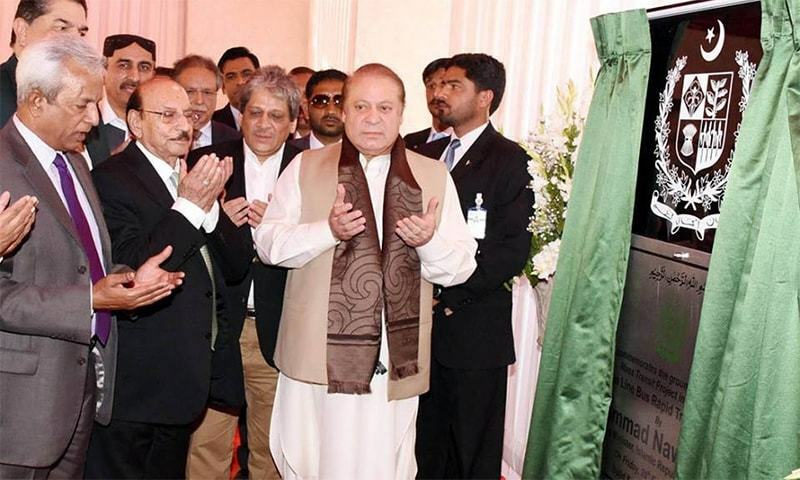 KARACHI: "It will be more beautiful than the Lahore metro bus," Prime Minister Nawaz Sharif told his audience during the groundbreaking ceremony of Karachi's Green Line Bus Rapid Transit (BRT) system held at Nazimabad area's Anu Bhai Park on Friday. 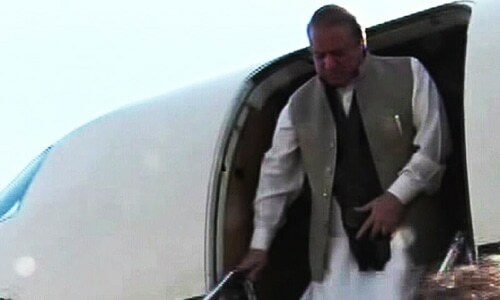 Upon his arrival in Karachi earlier, Premier Nawaz was received by CM Qaim, Sindh Governor Ishratul Ibad Khan and Director General Rangers Major General Bilal Akbar at the Pakistan Air Force (PAF) Faisal air base. Prime Minister Muhammad Nawaz Sharif at the Ground Breaking ceremony of Green Line Bus Rapid Transit System. "The elevated section is 11.7 kilometres long and 7.7km is the length of the section on the ground," he said. "There will be 22 bus stations and separate lanes for coming and going." The Green Line was to meet the Blue Line at Gurumandir and then go on to Tower, he said, adding that because work was delayed on the Blue Line, he asked for the Green Line to be extended to the central business district. The BRT will make life easy for residents of the areas it passes through, he said. Lauding the transparency, efficiency and cost-savings on the project, the premier was hopeful it would be completed by next year, but "can't promise it will be complete by April or May". Work will start on the Lyari Expressway in March, for which the federal government has released Rs1.9 billion already, he said. He said work on the Karachi-Hyderabad motorway has started, while construction of the Hyderabad-Sukkur section of the motorway will be set to start within a month. The Sukkur-Multan and Multan-Lahore sections will also start soon, he said. 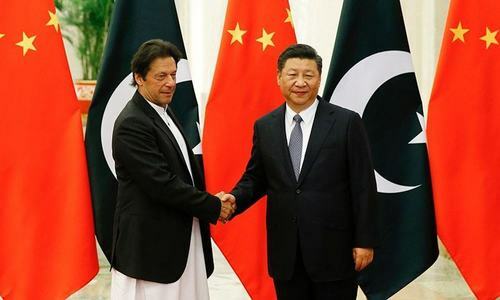 "These are mega projects that not only close distances, but also brings people's hearts closer," the prime minister said. 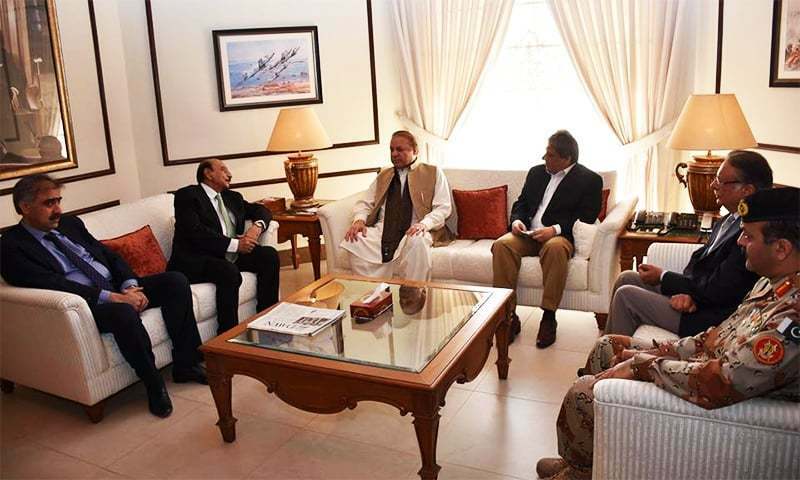 The prime minister also attended a high-level meeting which discussed the law and order situation of the city. 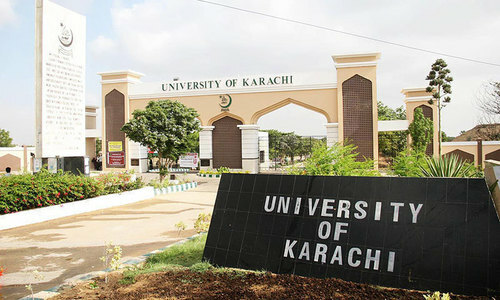 "In Karachi, kidnapping, ransom, extortion, murder and crime have decreased to a great extent. I said now that crime in Karachi is declining, we have to proceed with resolve so the city remains free of crime," he said. "We will not halt the operation until the city of lights begins to shine again," he said. "Karachi could have been the best city in South Asia, but we went off track and things kept getting worse. Now we are trying to fix things and need everyone to cooperate." 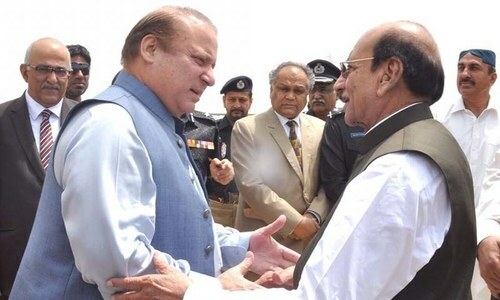 Sindh Chief Minister Qaim Ali Shah thanked the PM for cooperating with the Sindh government on the mass transit project. He said the Green Line will stretch from Surjani to Saddar. 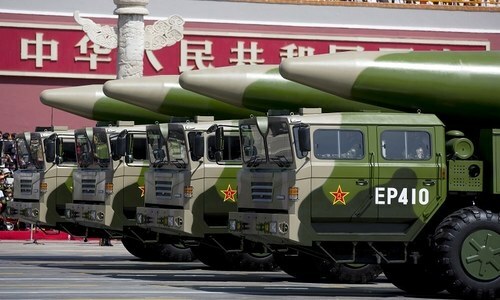 "It will be 18 kilometres long," he said. "There are five other lines to complete," he said, adding, "We will try to complete them in two, two and a half years." "However, Karachi is also in need of power and water. In that matter, the prime minister said the federal government will partner with Sindh fifty-fifty. These projects have been started... and we hope the bulk of them will be completed within two and a half years." Qaim took notice of the improved security situation in Karachi and praised the Rangers and police for ensuring the city and province remain peaceful. Governor Sindh Dr Ishratul Ibad said work on the Lyari Expressway will be started within ten days, and construction of the various BRT lines has been started. He requested the PM to help the Sindh government with the planned Malir Expressway ─ "a new artery" for Karachi and the Circular Railway and asked him to order that the projects be expedited. The Green Line starts at Surjani Town and is to end at Municipal Park, M.A. Jinnah Road and will benefit nearly 300,000 passengers per day, Radio Pakistan reported. The project is expected to be completed within one year. The prime minister first announced the project at a high level meeting in July 2014. The project is to be completed with an estimated cost of Rs16.85 billion, which will be funded by the federal government, an official said earlier. Projects falling under BRT system. The project aims to construct a bus-way, dedicated for BRT vehicles, in the median of roads along the entire length of proposed route. The bus stations will be built in the median, with ground-level and elevated sections with the purpose of providing high speed and high capacity service. Seven corridors had been identified under the Karachi Master Plan for introducing the mass transit system. The design capacity of the proposed BRT system with passing lanes provision will increase based on the number of direct and express services run between stations in the future, as required. Special Assistant to the CM Omer Rehman Malik had said that the project, which would be a 26km-long route with 24 stations, had been designed to provide transport to 150,000 commuters daily and it would be completed by 2017. According to a report released last year, compiled by renowned city planner and architect Arif Hasan with Mansoor Raza stated that Karachi, a city of an estimated 22 million people, had roughly 9,527 operational minibuses, as compared to the 22,313 it had in 2011. 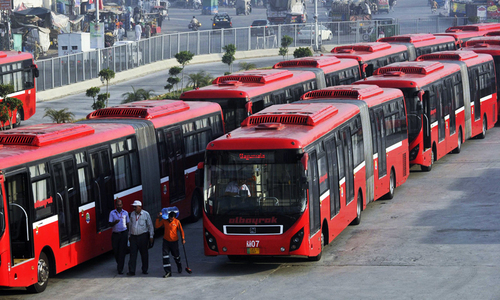 The Karachi Metropolitan Corporation (KMC) had said that an additional 8,676 large buses are required to fill the shortfall. Out of the city’s 329 official bus routes, only 111 are currently being operated, while the others have been abandoned because “they are not considered lucrative by the transporters”. Starting with the Karachi Improvement Trust (KIT) in 1950, a detailed history of nine successive government-sponsored bus initiatives in the public transport sector showed that all the planned projects eventually collapsed due to mismanagement, inefficiency or a lack of follow-through on promises made to private partners. While several of the initiatives were initially successful, most collapsed under financial strain, the report says. These failures include, but are not limited to: the KIT (1950-57); Karachi Transport Syndicate (1957-58); Karachi Road Transport Corporation (1959-67); Sindh Road Transport Corporation (1967-77); and the Karachi Transport Corporation (1977-96). Map tracing the route of the proposed project. A step towards right direction!! It is a great news for the karachi, much needed for the people of karachi. Hope this project will complete on time without any corruption scam. Federal gov should too announce more such projects outside punjab specially in Balochistan and Sindh, because their governments are incapable of doing such pojects. Bravo to federal gov for this Bus Rapid Transit System. "bus initiatives in the public transport sector showed that all the planned projects eventually collapsed due to mismanagement, inefficiency or a lack of follow-through on promises made to private partners. 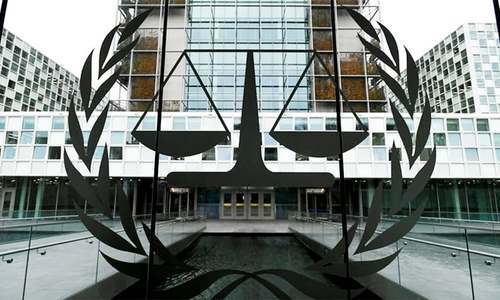 "So what measures and assurances are being taken to prevent such things not to happen again ? Hopefully the Green Line will encourage Sind Government to initiate other community uplift projects in this mega city. That's much needed and must be appreciated. Good job Nawaz! Congratulations from Karachiites for such an amazing project to PM Nawaz Sharif, more such projects are needed say from Orangi Town to Clifton (Abdullah Shah Ghazi),and from Super Highway to Tower,such projects will relieve the passengers to a substantial extent .Besides other problems of deprived Karachiites include water shortages,sewerage problem,jobs,the Karachi Graudates,Masters,PhDs,are unemployed only due to long imposed black laws of quota system, this biased law may also be abolished ASAP,further roads need improvement, and as far as law & order is concerned the Rangers have done miracle here,and brought peaceful atmosphere to Karachi. Since Karachi is a commercial capital and it's mini Pakistan,it need more attention and help from Federal Government in all sphares of life, for Karachiites. A very great need ,ignored at a huge cost in misery to commuters and peace of the mega city. congrats Mr PM ! Way to go PMNS!!! Karachi will reward you if our transport woes are solved. Bravo Thank you Fedral Gov !!! Much Neded Infrastructure Improvement Karachi was Leaning For !!! Our state of Pakistan believe in ad hock ism, and no permanent solution. Pakistan need a complete buses manufacturing industry who are capable to produce 1000 buses per year. This type of industry can market these buses in Local market (with some important modified Engine and machinery) as well as state own transport system, which must run by local government. Otherwise these green buses will become abandon very soon without any reason and become part of history like KRTC, KTC and ex-Green bus project. Great Going Nawaz. difference between performer and allegation maker quite obvious. One who cannot do anything and made KPK suffer from zero development is out saying that facilities should not be provided like mass transit, infrastructure etc. Grapes are quite sour for IK. Badly needed thing for Karachi. as long as buses shortage is concerned, we have parties, who love to set buses on fire , whenever they feel like doing so. Big cities need Metro Train system urgently, if they don't implement this, the pollution will keep killing people. Take Delhi, event though there is Metro, still people are suffering from pollution in day to day life. That is more expensive in long run due to medical care. low days for IK and PTI. sufferred embarssmenet from PSL due to Najam Sethi class apart performance and now hiding themselves from KPK people and telling them hold on these infrastructure are of no use for Pakistan. People of KPK are now asking what is useful for Pakistan and why that usefulness not implemented in KPK? Like Tameer-e-school, stoppage of terrorism in the hands of Taliban, corruption eradication, justice, end of Patwari culture, No to corrupt people and politicians like QWP. People are obsessed with IK and yes people of KPK even have started to show support for Nawaz Sharif. Although it was a responsibility of provincial government of Sindh to provide public transport to Karachi, but PML-N has done a great job to improve security and provide public transport to the Karachitees. I want to shift to Punjab or Karachi. Quite frustrated by PTI in KPK. They have nothing to deliver they promised us that we shall not have to leave our home area in search of jobs because he will develop industries etc but their is no industry no infrastructure and I have to Go to other provinces to find jobs. A shameful era for KPK. For Taliban we ask again why Imran Khan supports Taliban and not say anything to them? Why he lied to us for justice, education, development. The roads in KPK we all know are very very bad. when Imran Khan will fulfil his promises like Nawaz? Thank you very much for inaugurating PKR 17B project in Karachi. Lets hope that this project timely finishes and reduces the misery of ordinary citizens of Karachi. BTW isn't it funny that for having basic human rights we have to say beg in front of you. Long Live Pakistan! PML N going greate strides. KPK people have also started to like PML N and want them in KPK in their next tenure so that some development can be made in KPK as well. PTI future in KPK is now low. Sindh government should start Orange line timely. And I think they can do it without fed government help. This only happens in Pakistan. The city's local bodies and their reps are missing from a mass transit system event in their own city. Can one imagine this happening in Mumbai, Delhi, Tehran or Istanbul. By the looks of it PML N will bad more seats in 2018 elections. People are appreciating PML N performance. Nawaz sharif makes developments and his decisions are also admired by opposition be it appointment of Raheel sharif or Najm sethi. For Najam sethi what a show has has put up in regard PSL and what joy he gave to Pakistan. Nawaz sharif is turning the fate of country. on the other look at IK he has literally destroyed KPK. Nawaz Shareef Zindabad.very good timing. Pls bring more such developmental projects for karachi while u r in govt. There's absolutely no hope, chance, ability, willingness and capacity in provincial govt incl so called mandate owners of this city to do any good to this city however they will still try to take credit. Kudos to Alamgir khan for his initiative. 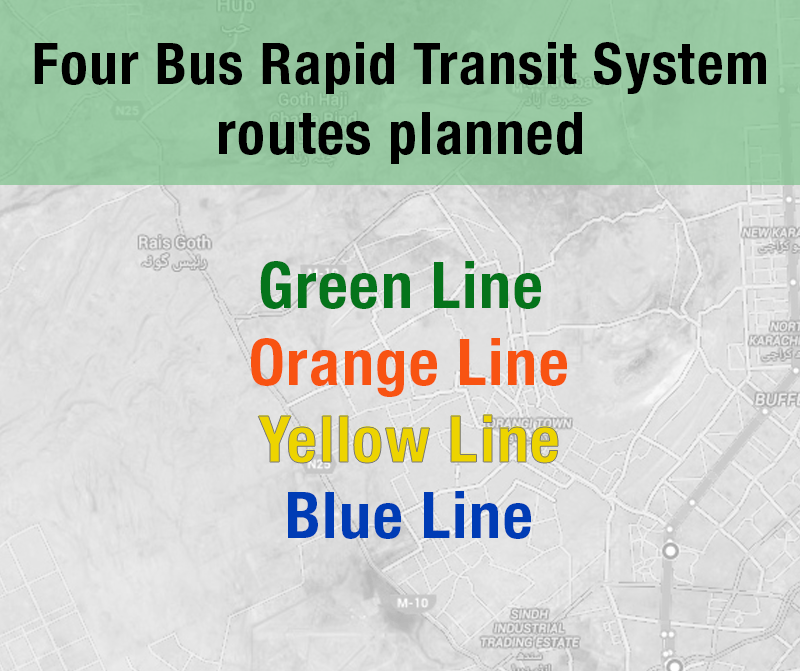 Finally karachi Rapid Bus Transit System would be executed. It would provide easy accessibility and will definitely reduce travel time of the passangers. A much needed project in improvement of public mass transportation in Karachi metropolitan. Great project. We really need it. Public transport will help decrease in fuel consumption and traffic issues in karachi if majority ppl use it. These transport system should be privatised and app should be introduced on which u can monitor actual timing of bus. That's what happen most of western countries. Congrats. Wish, provincial government does not destroy this very useful project for the common people of Karachi. Federal government must evolve some mechanism to sustain and expand this transport. ....but the Circular Railway that was much more efficient / cheaper and funded by Japan will never see the light of day......any guesses why ? Nawaz Sahrif has done miracle fro Karcahi 1) Ranger operations 2) now transit system for karachi people. We karachites are all with heart with you mr PM. Whole Pakistan is appreciating PMLN. My vote to PMLN in karachi next time. It's a heartening news, congratulations to all Karachites! Thank you Sir. At this time in our history, we are stuck with anything is better than nothing. Please try to get people of the road by building rapid transit system, and trains are better options. Anyway thank you even for this consideration. If only the PM could listen to the people other than his clout! Apart from roads and bridges, there are several other areas that can change the destiny of Karachi for ever. For example, the entire 45,000 sq Km of Indus delta is a panacea of game changer possibilities, next door to Karachi. The possibilities that can transform the whole area into a "Holland of Pakistan" very easily, with a slight of interest from the Federal Government. It can also divert all the crises-energies of Karachi into a new wave of mega development. Good NS. Somebody finally pay attention to us. Karachi will vote for PMLN if they continue to initiate and complete projects like this one. I wish we had an active govt or opposition in Sindh. PM Nawaz is a Champ! How wqas the contract awarde? Thru open bidding or personally awarded by Nawaz family?? He is boasting that it is a gift to Karachiites as if it came out of his personal fortune. Does this boaster have a budget or long term development planning??? Much appreciations and congratulations for PM. Tabdeeli àgai hai ! IK must appreciate this because this is a step towards Naya Pakistan rather than negative comments. pakistani majority will vote parties that deliver..if ns can provide electricity roads n water in karachi then im sure karachi residents are smart enough to know who to vote next time..dont vote with emotions..vote with brain. Utter Stupid initiative instead they should have revived circular railway with light trains and for future initiate underground subway. 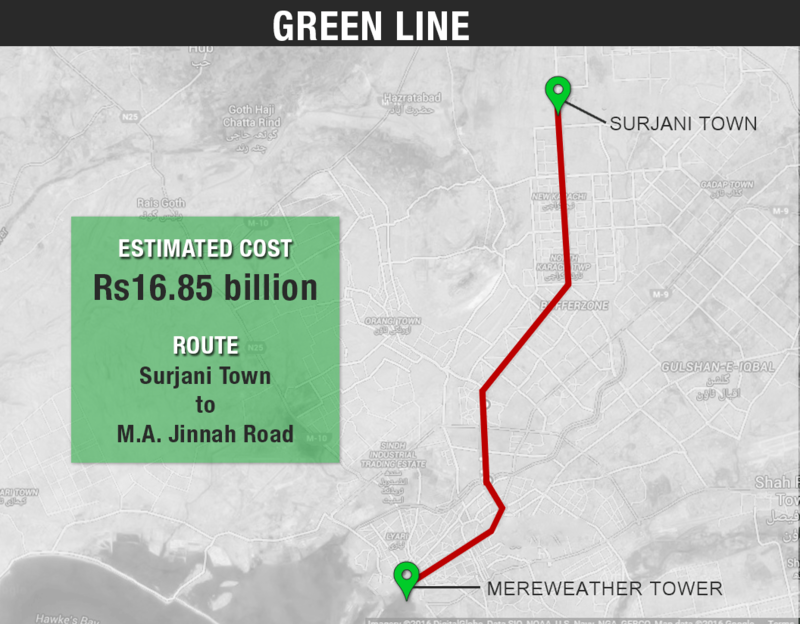 It's good news from Karachi & for Karachi, This project need to be completed at-least 10 years before Lahore & Islamabad Metro in one third cost, Karachi’s Green Line bus project [16 billions] will be more beautiful than Lahore metro [50 billions] Main sb. I am not a pessimist, It will never happen. Not at least till Nawaz Sharif is in power at Center. 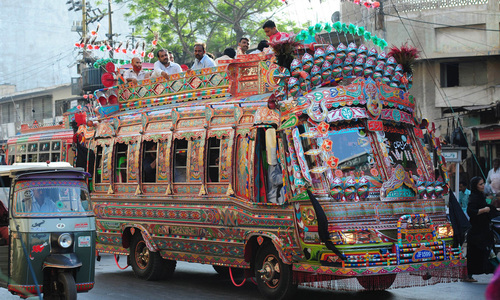 Karachi does need mass transit projects, but the benefits have to be weighed against cost. This project translates into almost Rs. 1 billion per km. Final cost may be even higher. The rulers seem to be oblivious to the need to solve transport issues at a minimum optimum cost! If you want to learn how to get s Rs. ten job completed in Rs. 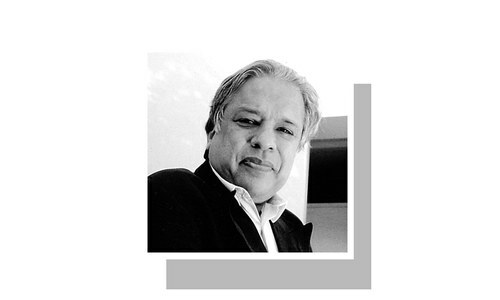 hundred, contact Sharif Bros. and Co. One may also ask the Sindh government what they did to revive the long-standing KCR project, which would benefit the city much more, in terms of return on investment. Instead of developing a long term, economical and cost effective strategy, they have allowed themselves to be led by the profligate PML-N regime. It is a shame for the government and people of Sindh! Any such project is very much welcome BUT the beginning/inauguration is not enough. We have seen the eventual deaths of SRTC and then the Green (CNG - expensive European buses). The best solution is to get rid of transport mafia. Every public transport (excluding ricks and cabs) must be run under govt or under govt/private partnership. This is how it goes around the world. Because of the poor show by govt, the poor public has to use dangerous mini buses and motorcycle rickshaws. Is there be any Lahore Metro Train or Karachi Green Line in underdeveloped provinces of Balochistan and KP.Will there anyone who dare to initiate such projects. The project is only inaugurated today. Till the final delivery of this project and successful running, the less said the better. PMLn has a long history of inaugurating projects in Karachi which do not materialized in actual. When this project is complete MQM will claim that it was their scheme, like they claim for Karachi green bus service launched by Naimatullah Khan. I have said it before. I will say it again. It is time for all of us to feel proud and patriotic. PML-N government is performing. It is less then three years and there is infra structure going on everywhere. More important building roads or metro's is creating jobs. seeds are being planted to improve future energy needs. EFFORTS are being made to control corruption. Law and order is improving EVERYWHERE. All that is needed is for us to say "well done". more transport more roads more bridges more corruption. No gas, no light no jobs, no health facilities is there any agenda of PML-N to make sure people suffer? @Fast Orange line is in lahore.It's green line thats in karachi and sindh government don't have to do anything as federal government have already started work.cheers!!! IK as opposition only pushed the ruling party to actually do some work for the country. If IK never contested, PPP and PML-N would have never carried out such projects. I credit IK for pushing PML-N to at least think about prosperity of country. In doing this though IK has made NS even stronger for next election. IK/PTI is on a low now and could lose KPK in next election. Big respect to NS though, just hoping 2018 is the year for end of loadshedding. The govt of Japan was interested to revive KCR for FREE as a gift for Karachi. Its ironic why Sindh govt and federal govt did not pay heed. At least there is something happening. KCR is a pipe dream first you have to revive a whole new department for the KCR then staff it then procure the trains then maintenance and operations.Running trains isnt cheap and it needs a very efficient and disciplined staff like singapore and japan.Something which will need to first change all of Pakistan.Even though we all wish for many KCRs we need to be realistic. @kash why he pushes others and not do anything himself? why don't he push himself? Wow! Nawaz Sharif for second term 2018 yay!!! There will always be doubters, but a step in the right direction, the days of MQMs full hold on Karachi is over, Karachi should have been one of the greatest cities of Asia if not the world, but the last 20 years were spent on fighting between parties. Now Karachi deserves to breath and show its even greater potential. People can call Nawaz sharif many bad things, but he is connecting the different parts of the country together via a network of road. What he must not forget is, he also needs to spend similar amounts of money on education and health. No doubt mr.PM Nawaz has given new life to Pakistan. Proud to be Pakistani. "Actions are louder than words". Several times present PML-N and past PPP govts. announce packages for Karachi but practically nothing implemented. The govt. should spend on provinces other than Punjab. Well, since your government has decided not to spend more money on the improvement of education, it is only natural that we will produce more jobs like the bus drivers than quality professionals. What is so beautiful about concrete and steel? Nawaz Sharif is on election campaign. He, because of his various deeds, expects early elections just like ZA Bhutto did in 1976.
the way to get buses on the not so profitable routes is to make sure those who are contracted on to a profitable route are also made to ply the trade on the not so profitable routes. That way it will balance out, and the public gets a good service either way. it will happen because you may not have noted his deadline, 2-2.5 years. i.e. just before the 2018 election. Nawaz maybe many things but he is not a fool. Like this all the energy projects are also due to come on line 6 months before the election. He wants everything working in time to get re-elected. This is how democracy works, if he can produce at least some of the progress. He may even have earned a re-election, and I say this as someone who would normally vote PTI. @shahzad it is up to each province to initiate such projects, KPK and Balochistan are not likely to see such projects soon as they can't afford them. But one day it will happen. We all want to see such progress, and we are happy to spend other people s money but no one wants to pay his taxes! (which fund these projects) Hence the problem of why these projects don't happen quickly. @AXH I agree with you on spending on education, but what makes you believe that a bus driver can't be a 'quality professional'? City of nearly 20 million and micky mouse solutions! get the proper mass transport system called "trains"
though step in right direction but i think its just a lollipop not a solution! all of the world lines and metros names are used for underground/overground trains. Pakistanis are fooled by these politicians by just using the names make mega bucks in the process, people end up with few fancy buses paying taxes to afford this half hearted solutions. But what about children of THAR? Are they not our children? Are they not Pakistani? Bus service in cosmopolitan and not clean water or shelter for Children of THAR! !! Project will be a white elephant if by chance it starts. Hope you remember you have to pay a huge amount next year on the amount of loan you have taken. Whole world going for train, but he stuck with bus! Much needed project. I hope local people get some common sense and help government to finish within time. Much needed project. I hope local people get some common sense and help government to finish the job on time. And after project don't try destroy it like other things. Good step. The next project should be the revival of the circular railway as the tracks already exist. Green Line Bus has some more benefits. 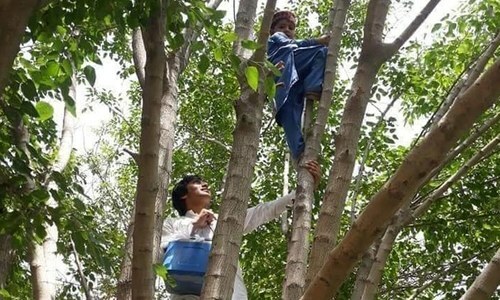 It will provide clean water to all people living in the slums and underprivileged areas, besides it will help all patients, especially children, no matter how poor they are, to get proper treatment in hospitals, Nawaz Shareef Zinda Bad! Green Line Bus Zindabad. @Kaspar the question is that can the Sindh or Karachi local government do a better job at a lower cost? It is amazing how the Sharif Brothers are concentrating on roads and buses but neglecting the education of children. According to Musharraf Zaidi, campaign director for Alif Ailaan, a non-government organization working to improve education, 47% of about 51 millions school age children do not receive any education. In other words we are raising a nation where millions and millions will be illiterate. Could it be a ploy by the ruling class so they could manipulate this illiterate masses for their own agendas and benefits. It seems that way. Words are not enough, govt should show something tangible, if it is sincere to provinces other than Punjab. Many projects are completed or underway in Punjab. Good news. Khi being largest city badly needed this. How come this one costs Rs 17 billion and one in lahore and isb cost three times as much though lengths are almost same. Mr prime Minister, please come to our rescue. Our chief Minister is in capable to complete any project. Any development project that benefits people is good for the country. Pak needs such projects as they not only create benefits for the people but also create jobs, which ultimately uplifts the economy. Therefore, every step in the right direction counts. This is excellent step Nawaz government has taken in favor of people of Karachi. I suggest federal government should beef up such projects and Metro Train should be another step which will solve almost all traffic problems in Karachi. If governments keep doing such projects for betterment of people there is no reason they continue rule over people for long time. I pray for successful completion of this project with the revival of KCR. I also pray that PPP and its corrupt government wake up from deep slumber and do something for karachi and people of Sindh, aameen. @Rahul: Merely the groundbreaking ceremony has taken place, and it is already smelling foul. 16 billion rupees for this project????? @Isra : Once the project has been deployed, it would be best to put it under the management of a separate govt. 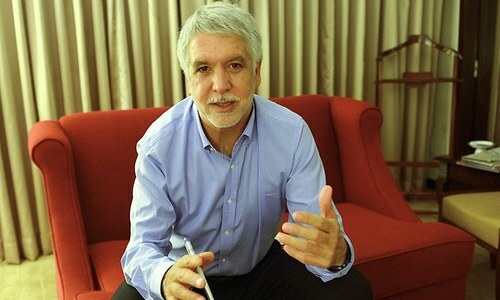 company and eventually to privatize. The problem generally is that you need to constantly invest to ensure the service remain up to the mark. This is something that we generally do not do in the public sector. Examples are PIA, PSM, railways and countless others. So build, deploy and divest. What about the dying children of Thar......these poor people don't even have the fundamental neccessities of life. Metro is not the solution to the problems of poor and deprived people of our country. Wake up! Please. @Naeem Khan KS. 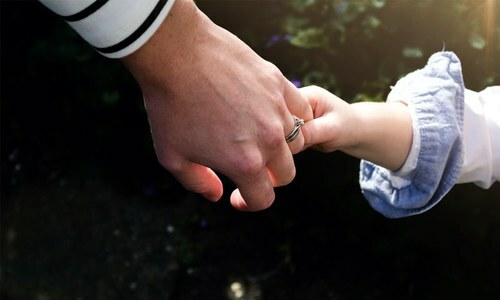 Children education is the responsibility of parents. Making yellow school is much easy and attract more vote but they never produce good educated people. People can produce good breed by controlling uncontroble breeding. Karachi has been a neglected by the Waderas for too long! Where is Zardari + QAS et al? If a country of 200M people has got a PM to plan and approve a city related road or bus service which is actually a mayor's job in consultation with city council, then who should be looking after the real matters?? Nation do not need more metros. 1. Nation need freedom from corruption. 2. Nation need education. 3. Nation need security. If you are building elevated roads for buses, why not build train lines? It is much more cost effective. In peak hours, you can add more bogies and during off-peak hours, you can run one car only. It can run on electricity which can provide several jobs. Not rapid transportation system is complete without any plans for a train. Despite i unlike PMLN as much as other Karachiites, but this moves surely will increase PMLN popularity. We karachiites are not nazaryati supporters of MQM hence any other party working for Karachi can easily gain votes. In all the comments below, not one person pointed out misplaced priorities. No one talked about education or human development. I guess we deserve what we get - Metro bus service. 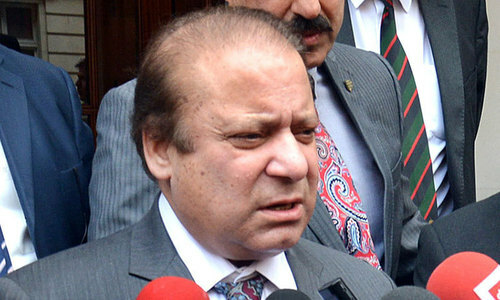 "Karachi’s Green Line bus will be more beautiful than Lahore metro: PM Nawaz" PM should not have made this statement because it may cause unnecessary ill feeling between Lahore and Karachi. Wiser and politically correct statement should be saying "Karachi's metro will be state of the art and beautiful project that everyone will admire"
It looks a good start let's hope for a good finish as well. Meanwhile Karachi needs to tame it's driving fraternity to follow a recognised set of driving rules so as to bring sanity on the roads. At the present time anyone and everyone behaves like a kamakaze with a lethal piece of equipment at their command and a faulty hardware on their shoulder. The situation is nightmarish. Karachi also needs a well trained and well organised traffic police force, one that is dedicated to ensure a smooth flow of traffic and not a fast flow of bank notes into their pockets. Quite clearly they lack planning expertise, they should urgently seek some. Karachi's traffic authorities should work with vehicle owners to ensure that it is in a safe and environmentally friendly mode of operation with particular emphasis on noise and carbon emissions. As I see it, BRTS will only be successful if the whole system is made to work well. No health care, No hospitals, No medicines, No schools, No jobs, No electricity, water and gas etc.. but metro after metro, red, green, blue, purple, orange and many other colour lines. Its all just nothing but mega coreuption projects by this corrupt to the core PML-N government. The bigger the project, the bigger the cut/commission for this government and they think people are blind. I agree with Rahul that trains are much cheaper in maintenance wise and expenditure wise. However, the problem is that Govt. cannot handle whole train system so that it may be privatized later. People, here, are crazy. So, in such projects, govt. only has to build roads and private people may run on their buses on these roads in future, which will save a lot of management burden. Also, we do not have big money so in Pakistani, nobody can buy a whole train system for the city. Another reason for that is political instability. I remember Daewoon Korean company invested in Pakistan but as the govt. changed, the next govt. asked them to give them bribe which they refused. This refusal, created anger and the sitting govt. kicked them out. This is the main reason nobody invests in Pakistan because sitting government has thugs and looters which take money from the every weak person. Existing roads bottlenecks are making people's life mess. If we prepare the broken roads, we may get the relief before we get the new projects completed. Sir,our biggest problem is explosive population growth. Has the govt. even batted an eye at that crisis. You can never have enough roads or highways to carry this sea of humanity that is multiplying rapidly with each passing year. 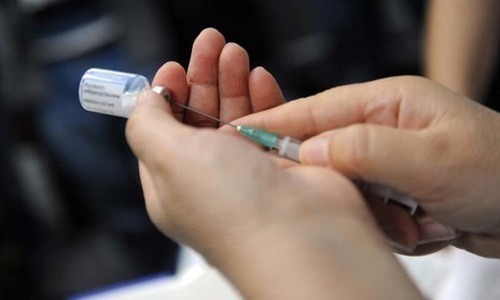 Family planning, which should have been done decades ago,must now be implemented at emergency levels. Is anyone listening? @Rahul It is not just bus services. The cost includes 12 km long bridge for the elevated portion plus stations, etc. Every body supports Green Line in Karachi while many opposed Metro in Lahore; strange standards. wow it is very necessary for karachi people. Thanks God, this is same Karachi where a few years back we were lifting 50 dead bodies every day ! People were not sure their kids were safe on the roads or in schools ! Now people are talking green lines and there should be this and there should be that ! This Government must have done something we should be appreciative of and be thankful rather than just spit out negativity and propaganda just for the sake of it ! Those who are bashing Imran Khan should also know that this metro line will cost merely 16bn while orange line train which is being built in Lahore with Chinese money and federal governments loan guaranty costs 180bn. Imran has always advocated for that orange line money be used to build a metro in Karachi which really needs it more than Lahore. That 180bn could have built 10 metro lines in Karachi. Karachi needs a metro train or a subway system not more buses! Someone is paying NS handsomely to import more buses in Pakistan. The Metro Green line will allow the residents of District Central to commute to the city in air conditioned comfort. That is great news because till now they felt disenfranchised and left out. Now they will all be part of something comfortable, modern and exciting. What a wonderful project! It will bring Karachiites together again. @Parvez > That was offered to the PPP so obviously they have done nothing for this country or this province after BB left the scene. BB gave us a new airport and many other things but after her the PPP took away our roti, kapra and makan. So expect nothing. Always some miscreant people are talking against qouta system when any harmony is seen among people of Pakistan. 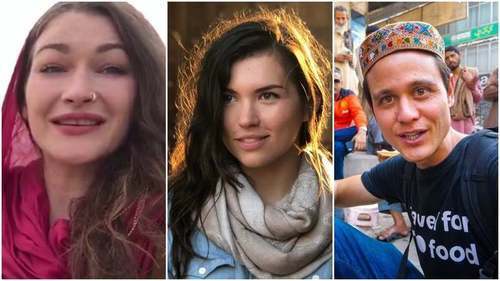 They never have gone to those areas where a child has to attend sub standard schools located at tens of kilometres and colleges without teachers at distance 20 to 30 kilometers and universities with shortage of hostels at hundreds of kilometers. Except that there is lack of health, transport clean water and many other faciities available over there. First for God sake compel your government to provide available facilities equivalent to Urban areas and then start to talk against qouta system. Selection on merit as per qouta will be rational demand which we all support. @Rajendra Jhariya and with CPEC,moots more is to come all over Pakistan. The progress rise has begun. @Shahid stop spreading false info. lahore metro is 3 times longer than karachi green line, hence the number of stations,buses and staff and its cost was less than 29.8 billion. @Sab Se Pehle Pakistan Whatever the government is giving take it with pleasure. If the government does not provide either metro bus or health or water etc. etc. do you have to do anything against the government?? Thank you Mr. PM ! Something is better than nothing ! For PPP Karachi is just a golden egg laying hen and nothing else . We are thankful to the PM for the inauguration of mass transit with the request to please allow the designated mayor of Karachi and the local government to sworn in immediately to look after the project and other matters of Karachi as the Sindh Government is biased towards Karachi. Introduce whatever you want, the transport system will not improve in karachi unless the transport mafia is chained & thrown in the arabian sea, this is the same mafia responsible in the previous government that reduced Pakistan railways to shamble. at least MR.SHARIF is trying to bring mass transportation of Karachi that will be green energy, Buses have some advantage as they can be used for emergency to other parts which a tracked trains can't do. each has its own pro and cons. more over digging etc are much lesser than tracks. if you criticize everything then you will have nothing ! @Vasan Pakistan are already suffering from power shortage. The can not introduce Metro trains. It requires electricity. It's a shame that khi train will be better than lahores. Can't u treat the cities the same way. Stupid leader. Hopefully all color lines bus service has common intersection point somewhere center, so passengers can hop to other color line to reach destinations, instead going to the end one color line to hop to other color line bus. Hopefully camera monitoring is part of the system on buses and stations to track people who try to damage the property and fight with passengers or pick pocketing. System should have special magistrate to punish within days or weeks with footage of camera as witness. Building of mono rail will be cheaper solution and could be completed in less time. Revival of local train service is also ignored again which can better serve the masses. @Shahid orange line is a train project, how can you compare it with a bus project in terms of cost ! Besides, it is an private investment ! If IK wants that be spent in Karachi, he should convince the Chinese investor who is building that. If he wants similar projects elsewhere in Pakistan such as in Peshawar, who is stoping him to bring in private investment. This project is being built in Karachi with federal help, what has IK to do with this ! It is a good idea for having a good transportation system and we should commend government to do something about other public sector too. Education, health care, housing, employment, crimes, electricity are very important issues and need prompt attention of the government. Human development is greater than Infrastructure development. A govt. would not come to your home and give you the job, you will have to struggle for it. Is he in power? Does he have enough funds? In 2002 green buses service started from Surjani to Saddar, which came from Sweden.We already have had network for buses why we don't reinstate, its our myth to spoil old one. an efficient public transportation is very important for any city with large number of residants ...most have underground metro trains to move people faster and avoid traffic gridlock which encourages lesser use of cars ..this is now happening everyehere ...a private/public operations entity would be a better option to raise funds required as initial cost are higher but pay off in the long run..